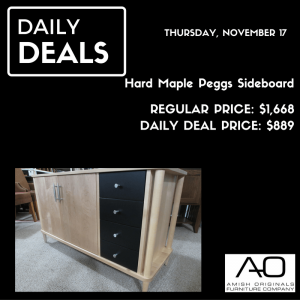 The Daily Deal for November 17! Daily Deal #4 at Amish Originals! We love this buffet and sideboard that has sleek modern appeal! 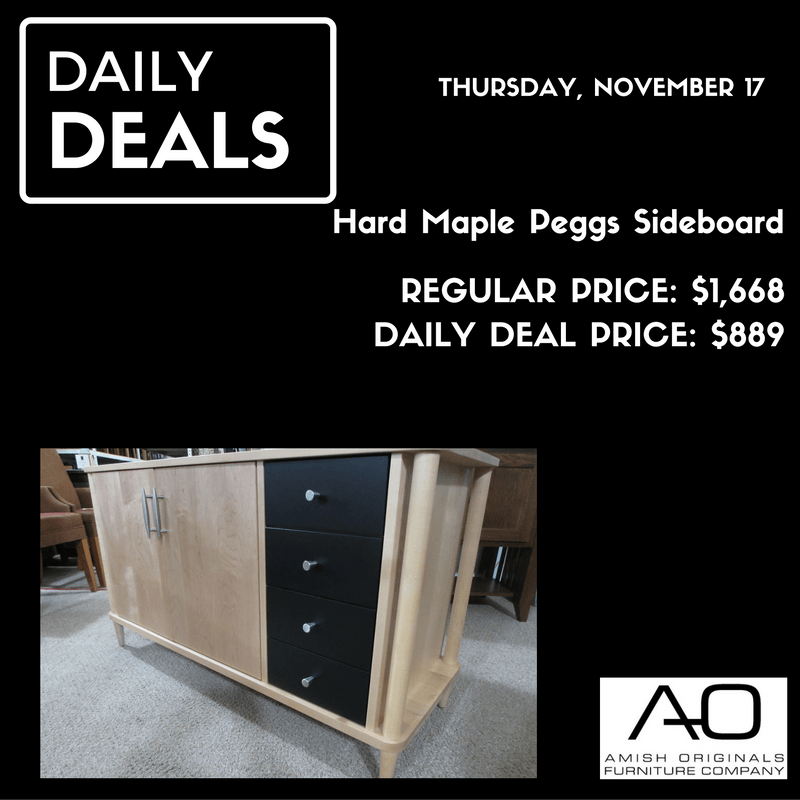 Today’s item is this Hard Maple Peggs Sideboard- made here in Ohio by our fine Amish Craftsmen. Both store pick-up and delivery are available.